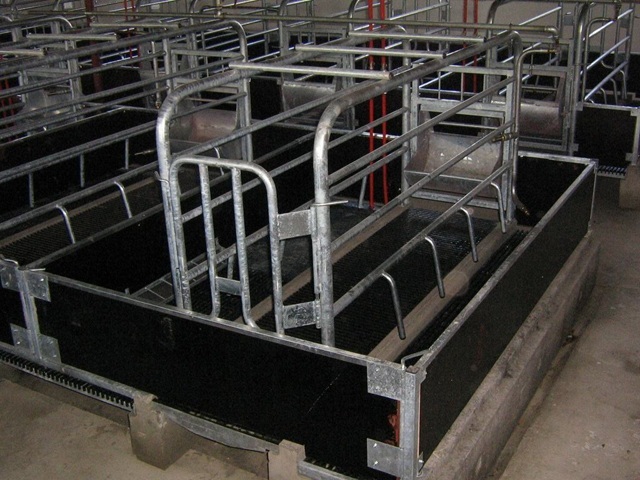 The fenced box for farrowing of sows is placed on concrete beams made of hot dip galvanized steel profiles and waterproof plywood with metal frames. The constructions is placed on concrete beams on the already provided levels. The floor part is filled with floor heating underneath the piglets, and with plastic plates and concrete block beneath the sows. 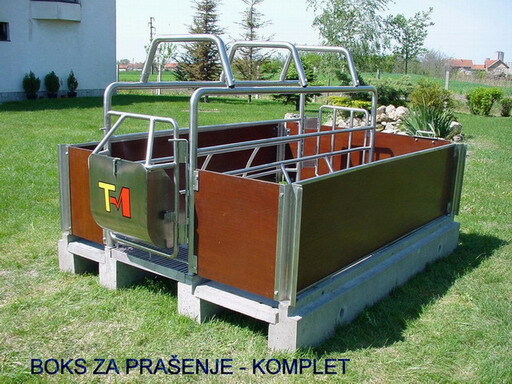 Fencing for sows is built is such way that by turning the back door, the length of the fence can be modified, approximately 30 cm, which is very important because of the different sizes of sows. 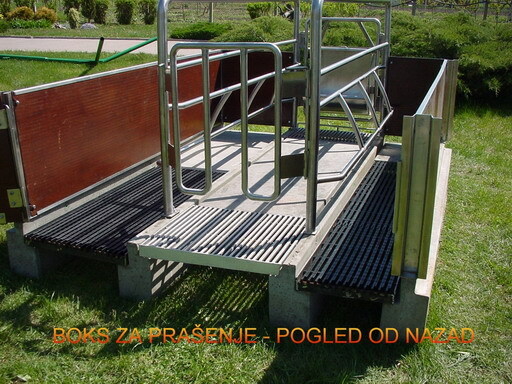 The role of lateral pipes is also very important, which prevents the sow to lie down quickly and unadvisedly. 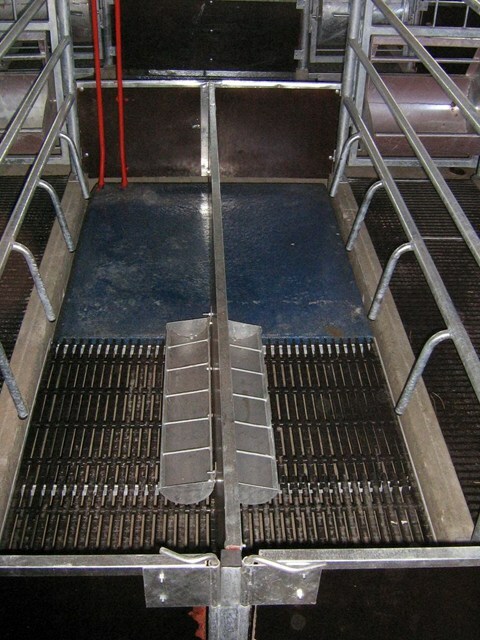 The feeder is designed so that it can rotate around the hinge together with the door and around the axis of the carrier because of discharging or flushing. Within the box, there is a floor heater, size 1000 x 500 mm or 1100 x 600 mm with installed power of 100 W, or 120 W, that its mass (about 50 kg) provide substantial accumulation of heat, which is very important in case of power failure (discontinuation of heating). The heating system is with hot water, regime 60°/ 40°C, and as a fuel for heating water can be used: solid fuels, liquid, gas, electricity etc. 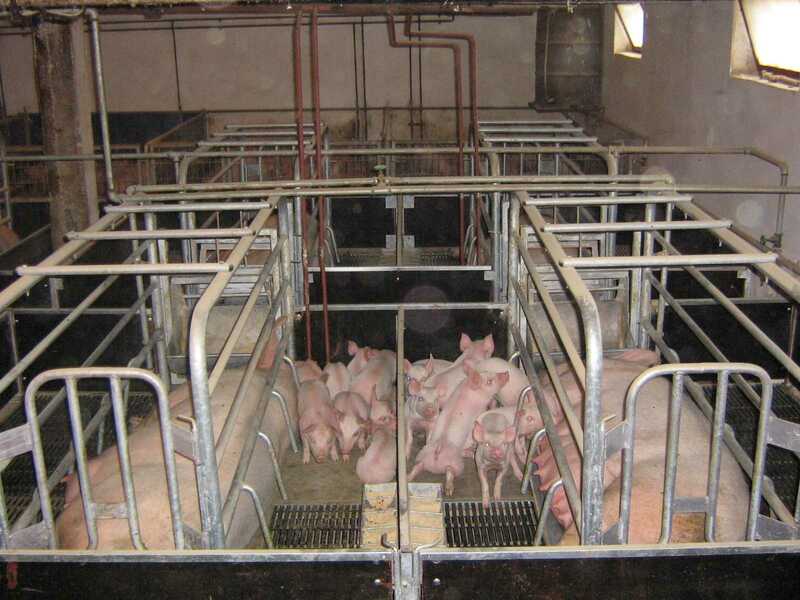 Warm floors on the surface are provided with a temperature of 38°C - 40°C, which is ideal temperature for this class of piglets.